Filmmaker Joey Shanks is at it again. Done with giant bubbles and teleportation, he’s now onto outer space. 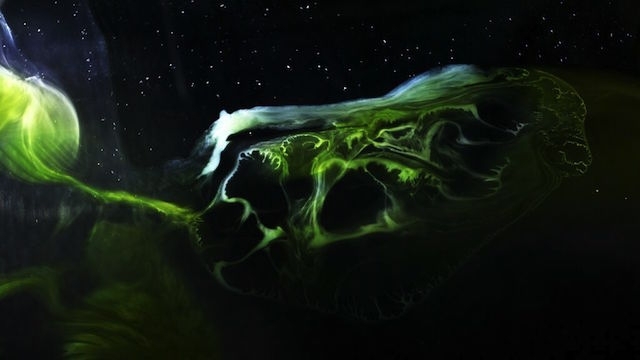 Using milk, food coloring, soap, and a piece of glass, Shanks creates cosmic nebulas that he films with a Canon 5DS and converts them to 8K, the highest quality you can get. In a collaboration with PBS Digital Studios for a project called CREATE THE COSMOS, the video is full of swirling and hypnotizing clouds surrounded by twinkling stars that draw the viewer closer and closer, floating through a personal full-screen space mission—albeit a magical, DIY one. To learn more about Joey Shanks, click here.